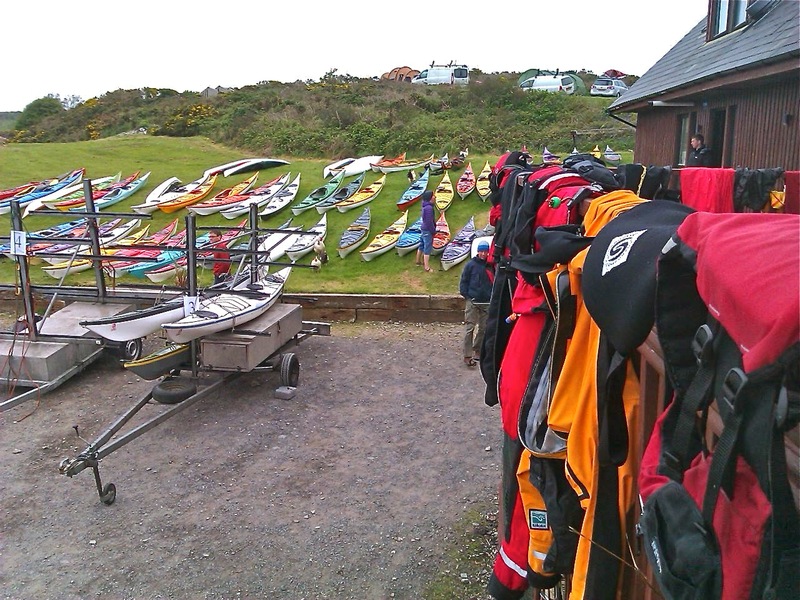 This May Bank Holiday event brings paddlers to Anglesey from far and wide for good reason. Not only is the range of workshops, talks and courses exceptional, but the setting is second to none. The Anglesey coastline reliably provides the variety paddling conditions and gracefully plays host to this worldwide event. I started the weekend with a trip round ‘The Stacks’ in breezy conditions. This is the first time that I paddled the ‘Jura’, which is latest design from the Venture Kayaks boat shed. The following few days were spent day tripping, rock-hopping and surfing around some of the stunning stretches of the Anglesey coastline, as well as attending some training workshops. Life never seems to stop at this festival! Once off the water there is barely time to rest before it is time for dinner. There were inspiring evening lectures about amazing expeditions by Ginni Callahan, Eila Wilkinson and Pete Bray. After all this intense activity there would still be time to wind down with music, dancing and (of course) drinks in the famous ‘Paddlers Return’ bar.